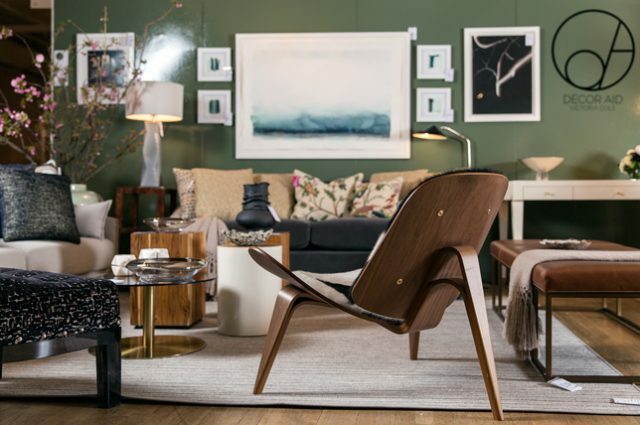 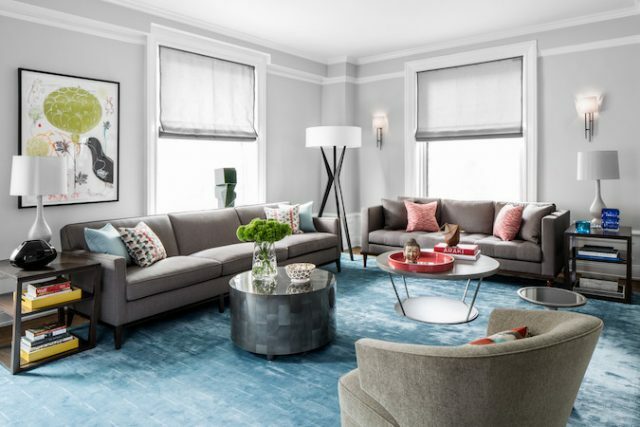 By working with Decor Aid, you gain full access to our team of senior interior designers, all of whom are selected from the nation’s premiere interior design firms. 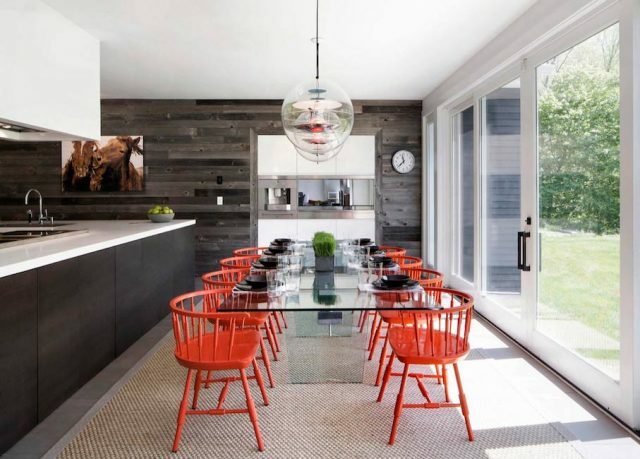 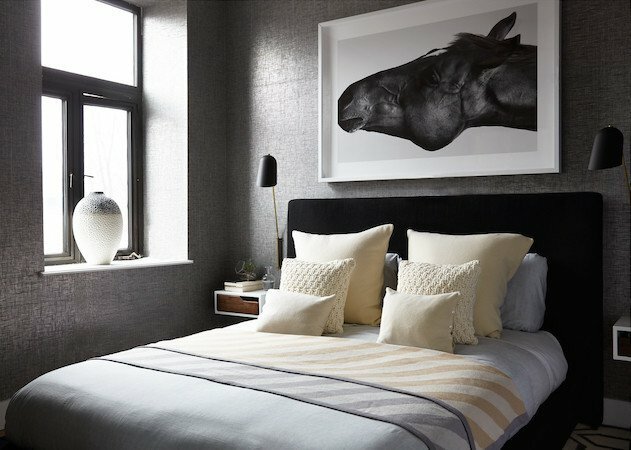 Versed in a wealth of residential interior design styles and projects, they can help you achieve a space that you love. 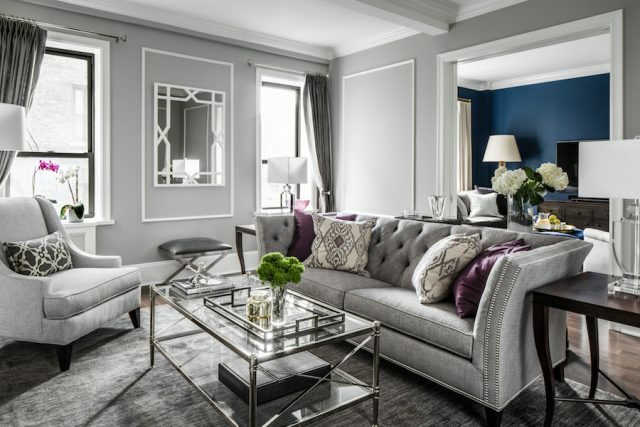 Whether you are looking for a simple room makeover or a complete home renovation, our designers will collaborate with you on any interior decor project. 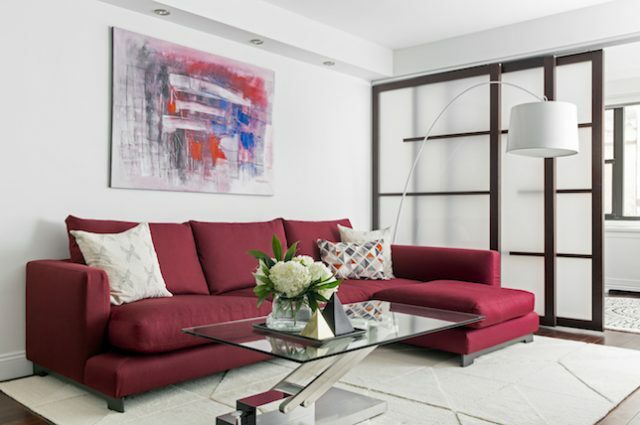 At Décor Aid, we make luxurious, affordable interior design an effortless experience without compromising quality. 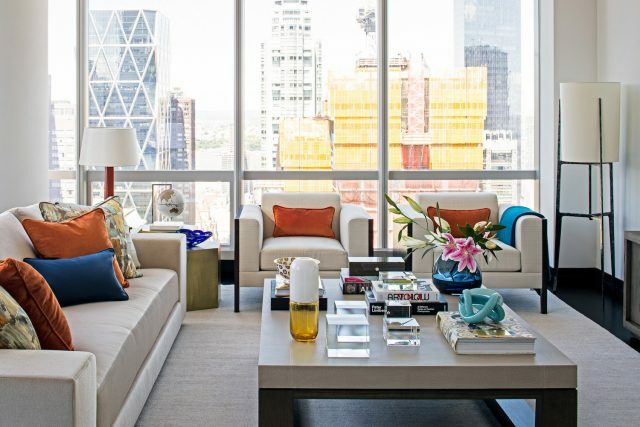 A soaring residential skyscraper along Central Park South, One57 is a quintessentially New York property. 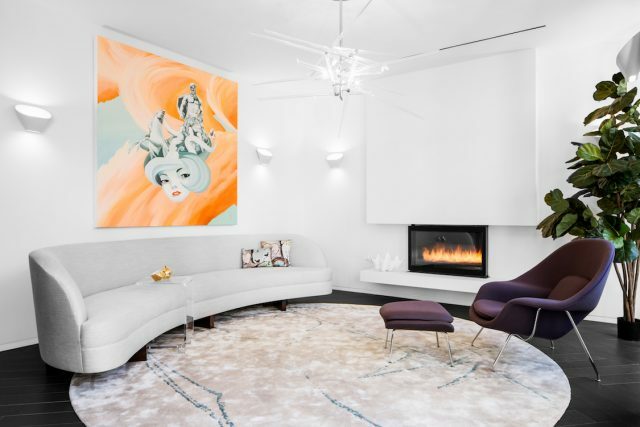 So when a Silicon Valley tech investor purchased a condo on one of the building’s upper floors, he reached out to Decor Aid, and tasked us with creating an interior worthy of this landmark residence. 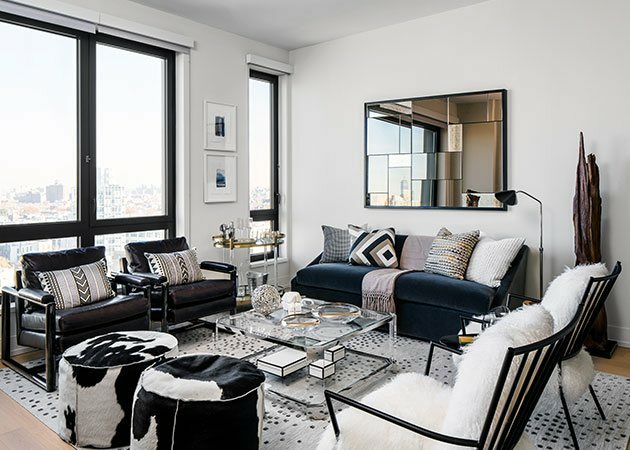 When the founder of an innovative beauty startup was short on lighting and decorating ideas for her young family's Brooklyn loft, she turned to Décor Aid to articulate her eclectic vision and wanderlust sensibility for the ultimate remix featuring notes of modern, rustic, and Scandinavian design styles. 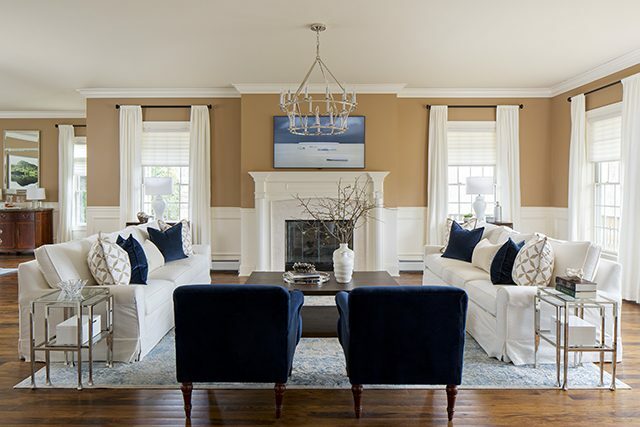 Nestled in Connecticut's historic Old Greenwich neighborhood, our client tasked Décor Aid interior designer Urszula D. with giving their young family home a warm, modern spirit full of subtle nuances and clean, sophisticated, contemporary design. 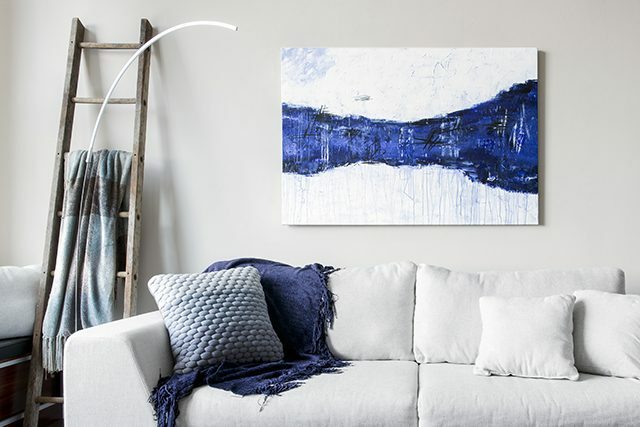 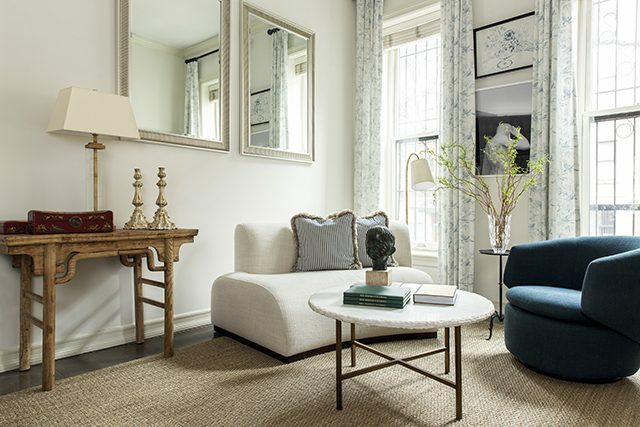 When a repeat Décor Aid client purchased a condo in Sag Harbor, New York, he immediately came to us to transform it into a masculine weekend retreat. 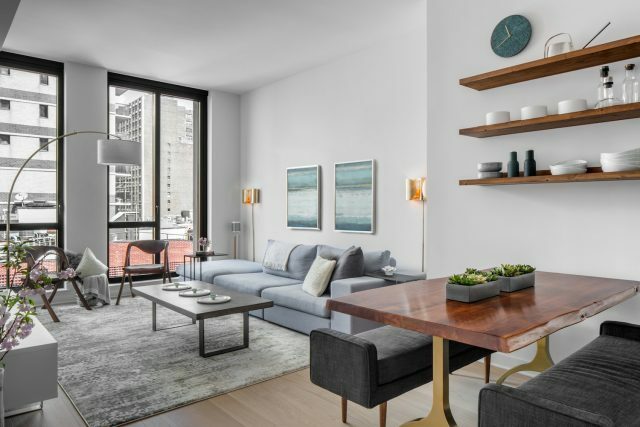 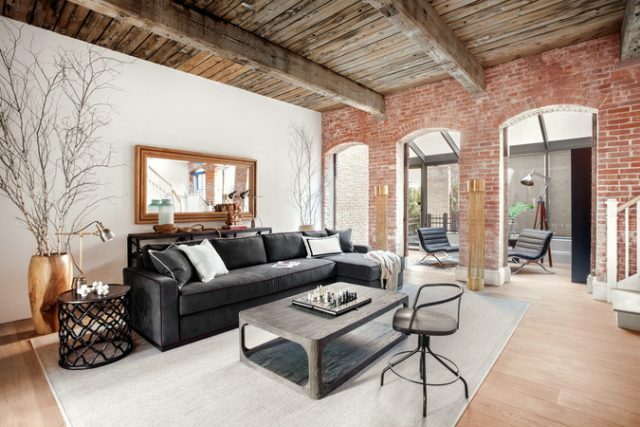 The home is in Watchcase, an 1881 factory building that was transformed from an eyesore into a sought-after luxury condominium development by Cape Advisors and Beyer Blinder Belle Architects. 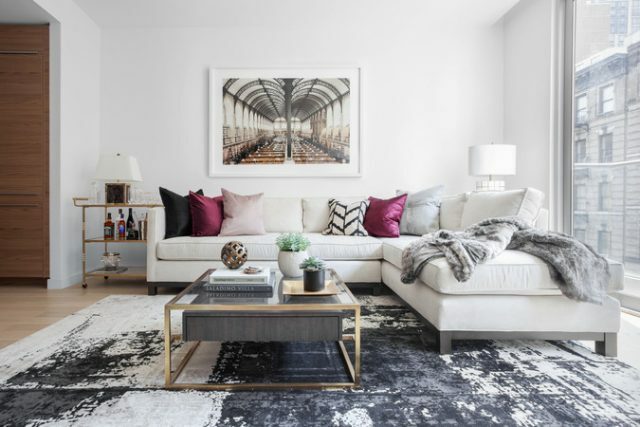 Decorating a rental on a budget can always be a challenge, but thanks to Décor Aid interior designer Jenna O, she created a forever-chic wanderlust vibe celebrating our client's collection of far-flung objects that'll look great anywhere they move in the future. 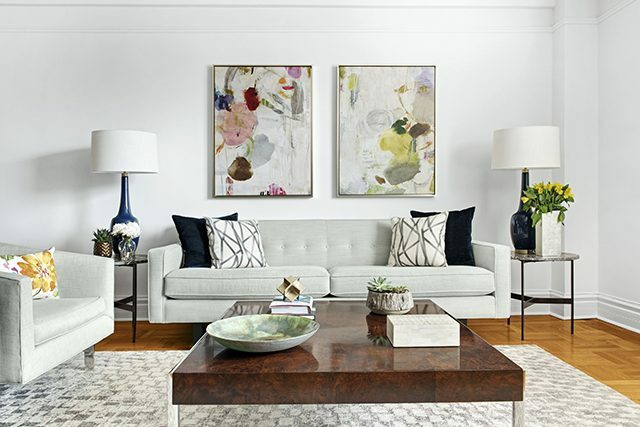 After finding herself at ease in her San Francisco pied à terre that we decorated, a bicoastal executive turned back to Décor Aid for an interior design upgrade for her second home in New York City, with the same sense of everyday transitional glamor so she can feel at home on both coasts. 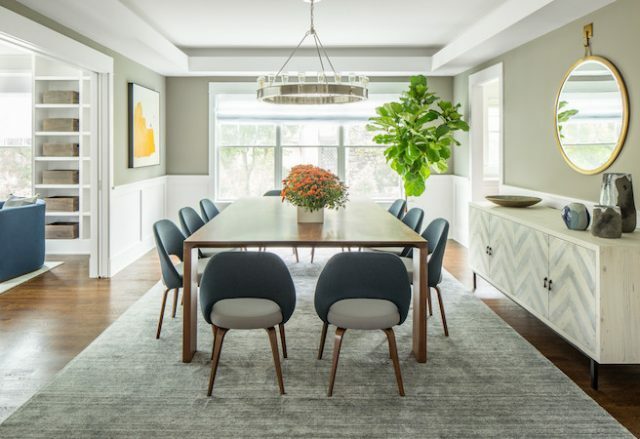 A young couple moved from New York’s Upper East Side to New Canaan, Connecticut, with a classic conundrum: They wanted more space and a yard for their two young daughters, but they wanted to maintain their urban design style. 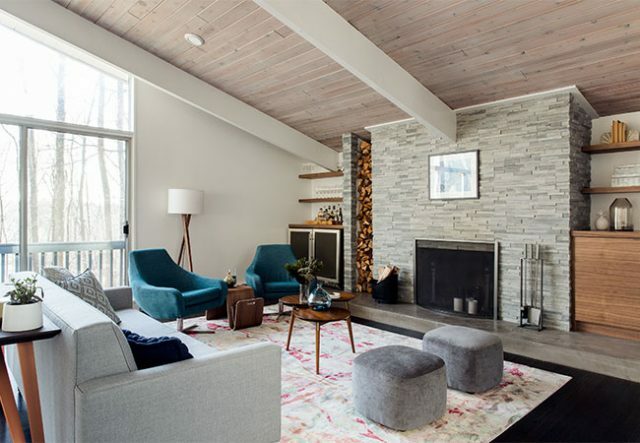 A young couple came to us with an intriguing design challenge: they wanted to modernize their outdated retreat in Montauk for minimal expense. 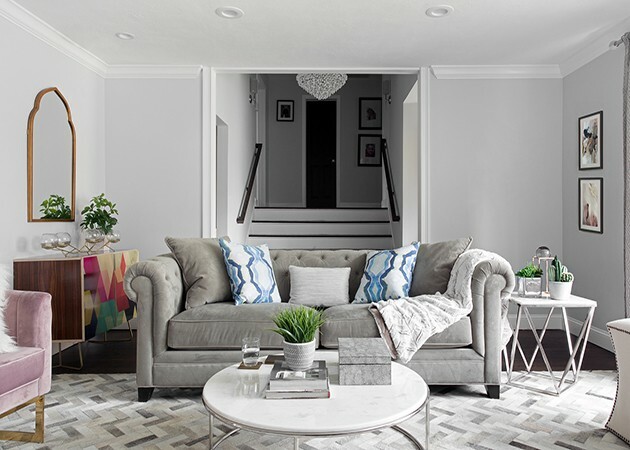 The British husband and American wife also just welcomed their first child, so they wanted the house to be beautiful, but it also had to be simple and easy to care for. 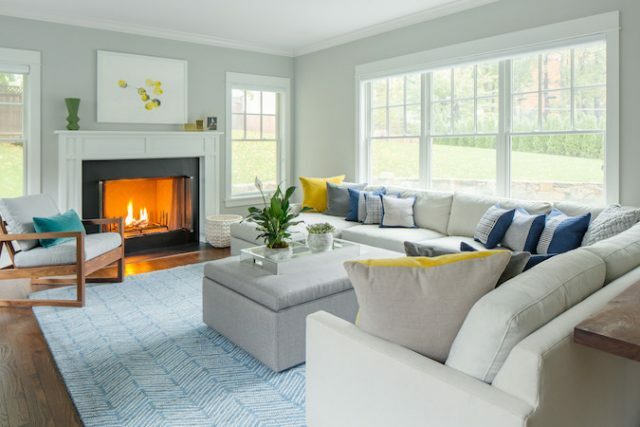 Having a well-designed home shouldn’t mean sacrificing comfort. 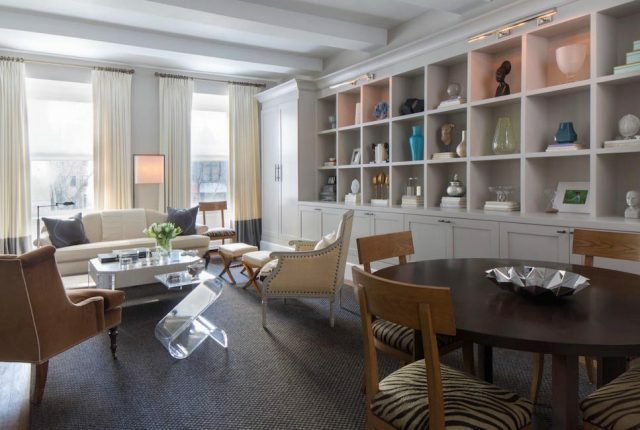 Our client, a young financier, faced this exact predicament when he purchased an apartment overlooking Gramercy Park. 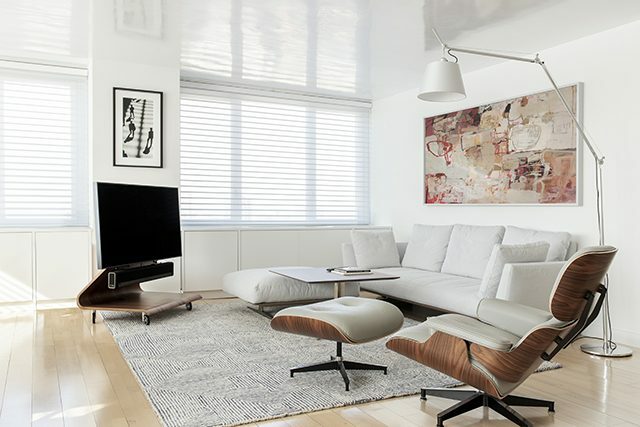 He wanted a clean and refined space that was perfect for lounging, while incorporating his well-manicured, functionalist aesthetic. 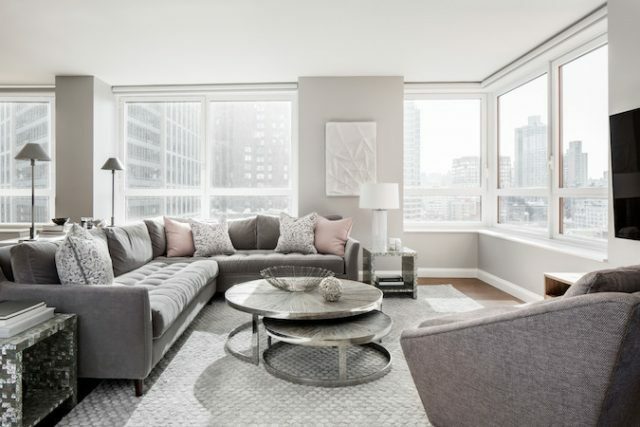 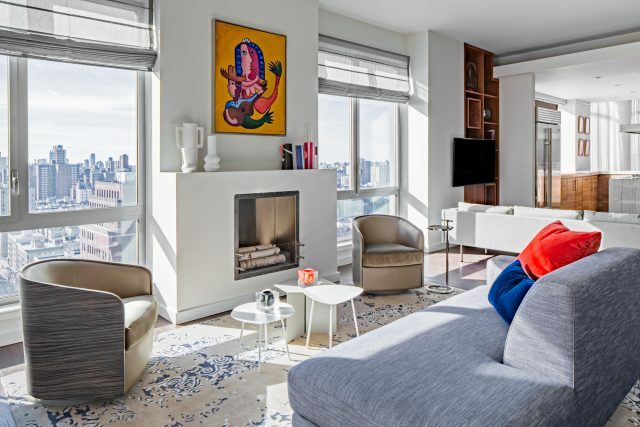 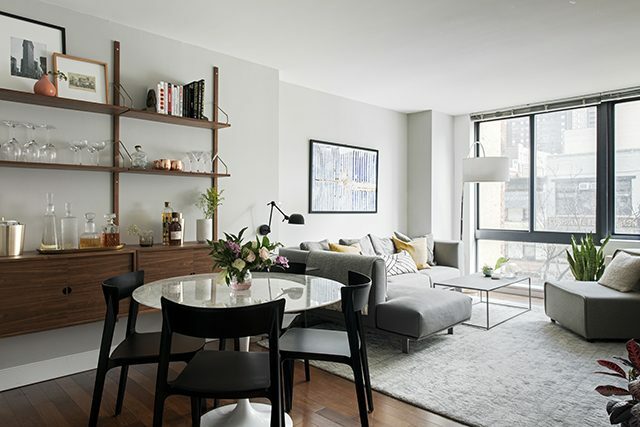 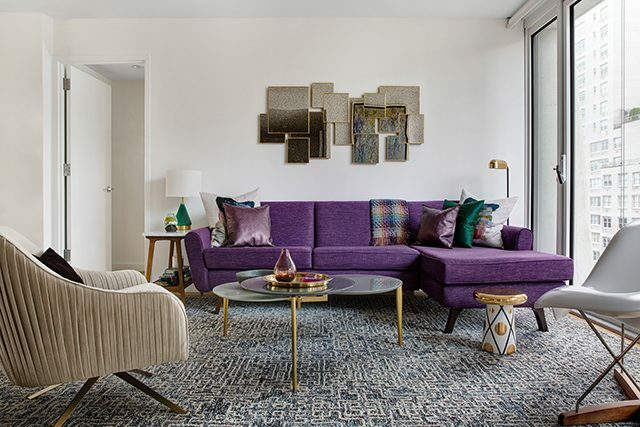 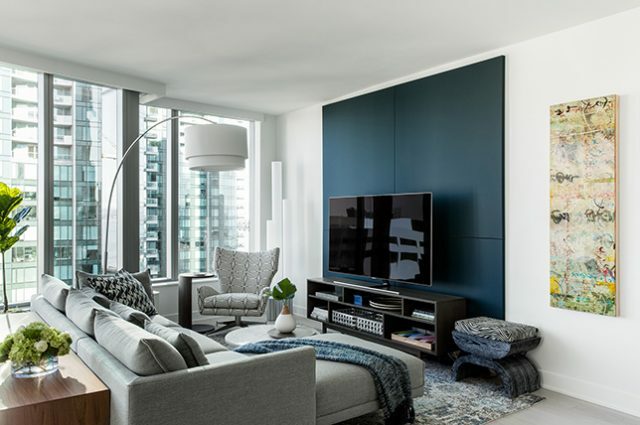 A couple with a young daughter moved from a traditional co-op in New York City’s West Village into an ultra-modern apartment in Battery Park City with floor-to-ceiling windows offering stunning views of New York Harbor and The Statue of Liberty. 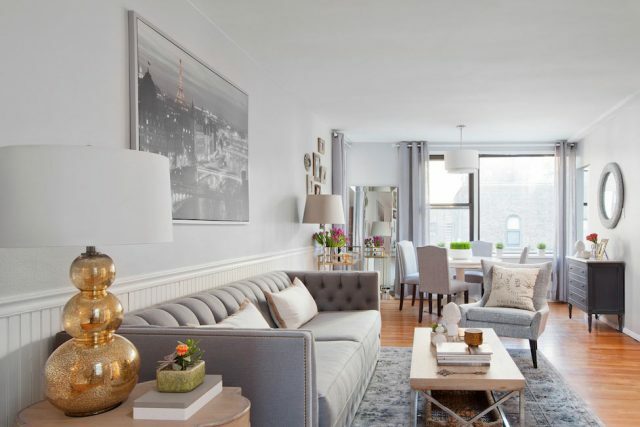 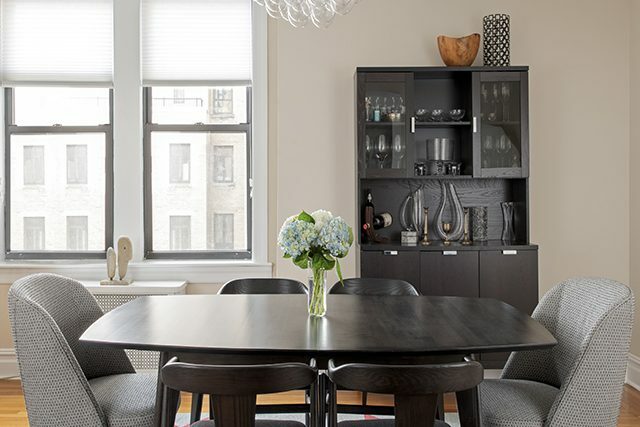 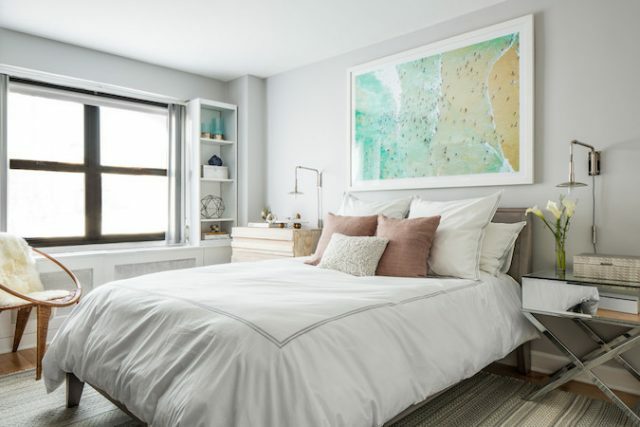 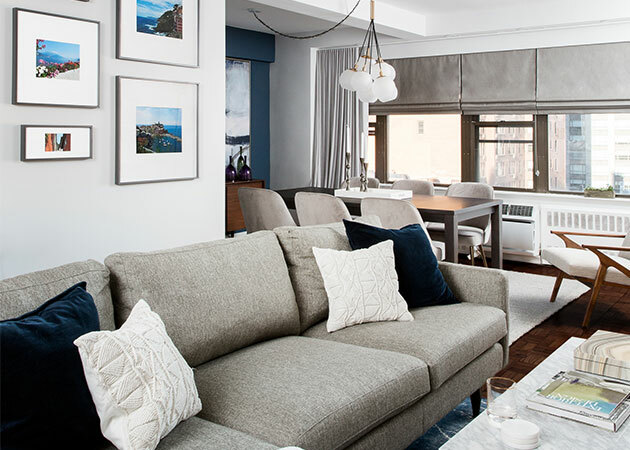 When a fashionable client tapped us to give their bland New York City apartment a well-judged sense of life, our interior designer Ashley A. delivered savvy design solutions with the end result yielding a dramatically minimal, modern apartment furnished on a limited budget. 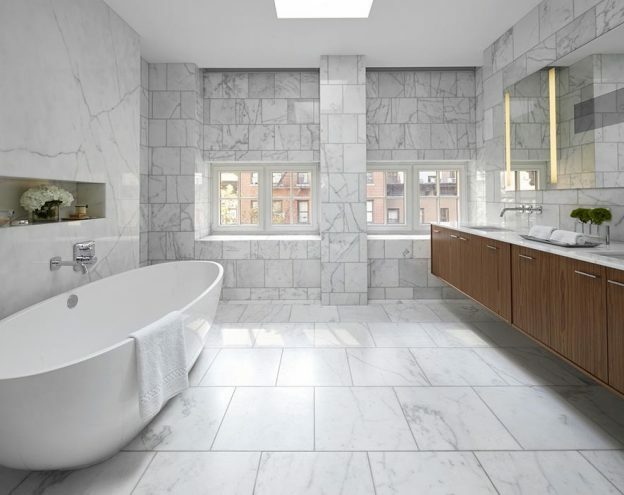 Million Dollar Listing’s celebrity broker Ryan Serhant reached out to Decor Aid to stage a luxurious Brooklyn condo development. 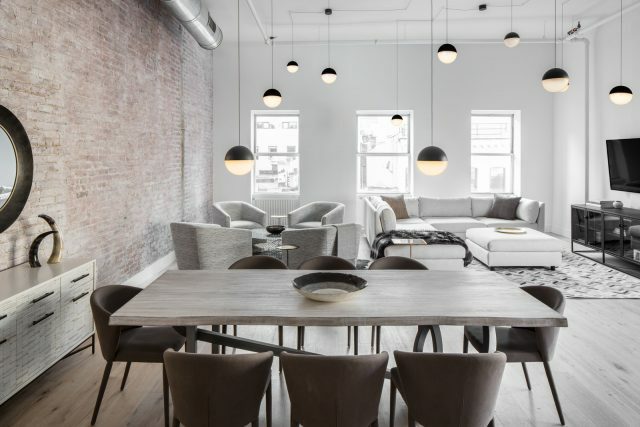 The only caveat was that our interior designers had 48 hours to come up with the design, concept, and source all the furniture. 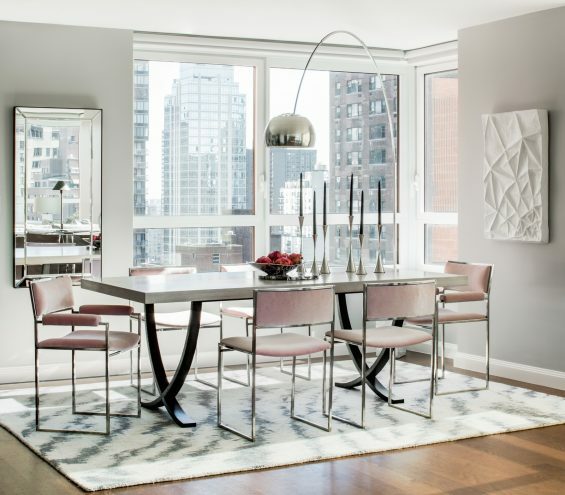 Always up for a challenge, we partnered with Mitchell Gold & Bob Williams to create this contemporary gem. 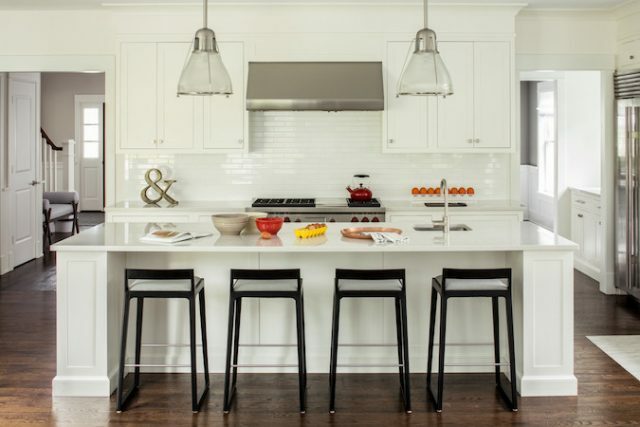 Looking to make his home appear larger with consistent flooring uniting the open floor plan living and kitchen areas, our client reached out to Décor Aid for construction services that would see his mismatched floors turn cohesive while updating his kitchen and elevating his existing furnishings and interior design. 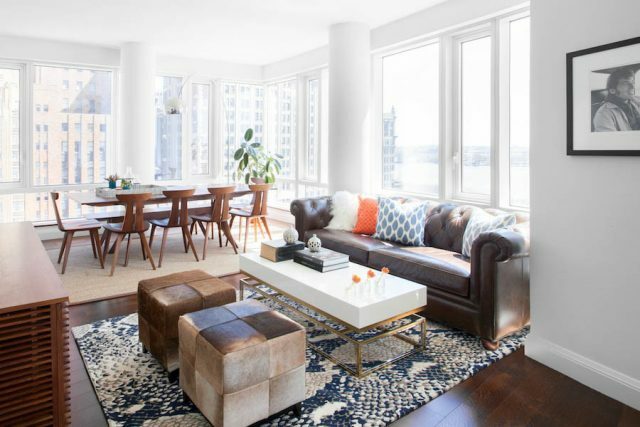 Marking our fourth consecutive year as participants selected for Housingworks' interior design challenge Design on a Dime, an annual benefit and charity auction, we tapped Décor Aid interior designer and Peter Marino alumnus Victoria Tomlinson Cole, to create a warm room that was reflective of the spirit of the various elements found outdoors.